Three months before she was thrust into the national political spotlight, Gov. Sarah Palin was asked to handle a much smaller task: addressing the graduating class of commission students at her one-time church, Wasilla Assembly of God. Her speech in June provides as much insight into her policy leanings as anything uncovered since she was asked to be John McCain’s running mate. 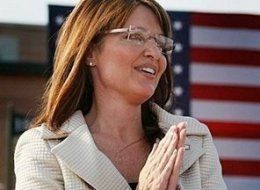 Speaking before the Pentecostal church, Palin painted the current war in Iraq as a messianic affair in which the United States could act out the will of the Lord. Continue here to see the video with the article “Palin’s Church May Have Shaped Controversial Worldview”. Nunya – thanks, girl. I saw your link on your site, so I thought why don’t we have it as well. I turned the video off after Palin spoke, but you are saying watch it longer to hear what the pastor says, right?